Own this Waterfront Condo - Little Town, BIG FISHING lifestyle - Acclaimed Fishing Area! Voted one of the BEST small towns in the US, this 2- bedroom, 2-bath lakefront beach condo invites you with its soaring ceilings, screened lanai, granite-counter-top kitchen, oversized 2-car garage, and amazing fishing. Right on the canal!!! 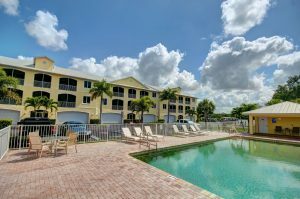 Enjoy fantastic views of the intersecting canals, mangroves, pool and waterfront. Enjoy spacious, dramatic skies and serene waters. The community boat dock, boat ramp, boat slip and pool, plus fishing pier and marina, are just steps away, as is the camaraderie of friends, family and fellow fishermen. Take an online tour of this home in a sweet fishing village! There’s great fishing and boating adventures with some of the best fishing around — including plentiful red fish, snook, triple tail, trout and lemon shark. The area is nationally known for its stone crabs. 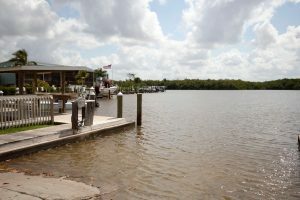 This area has been written up by fishing and anglers’ enthusiasts as THE destination for snook, stone crabs and more. 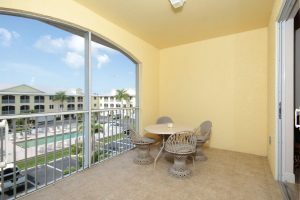 This would also make a great second home, whether its your home away from home in Orlando, Miami or Ft. Lauderdale, or it’s your U.S. getaway. This home offers a chance to step-back in time and enjoy a great family environment in this scenic, historic and tranquil town. Explore the area with air-boat rides, cruises, Everglades tours, back-country rides and waterway wilderness tours. Enjoy culinary delights in the superb dining restaurants. This area is considered the gateway to 10,000 islands. Enjoy Gulf access without any bridges. 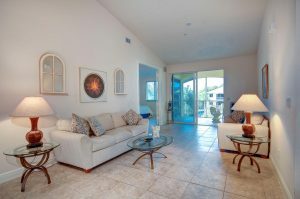 Listed by Krisandra Panting, REALTOR® – Call now at 1-239.703.9412 or email Krisandra to see this condo. Fishermen – Your Parking Spot is Reserved! 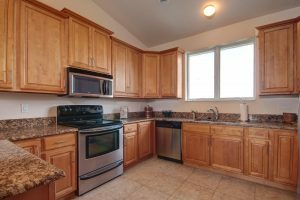 OPEN HOUSE – SUNDAY 4/24, 1-4PM – SURFSEDGE!